. - - - - - ABC-List of the Sennin Immortals Hermits - - - - - .
. Yoshinoyama Nyosen 吉野山女仙 Female Sennin from Mount Yoshinoyama .
. Tenmu, Tenbu 天武天皇 Emperor Tenmu Tenno . when he was still Prince Ōama 大海人皇子 Oama no Oji and lived in exile in Yoshino. Suzuka no Okina brought the Prince (who was also known as 清見原皇子 Prince Kiyomihara) to Yoshino to avoid fighting. 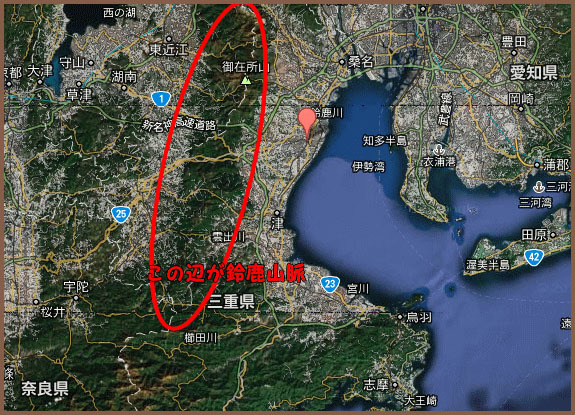 From there the Prince kept fleeing to 鈴鹿山 Mount Suzukayama in Shiga. The life story of the Prince continues, but the whereabouts of Suzuka no Okina are lost after that. He was maybe the 鈴鹿山の神仙 Shinsen Immortal of the Mountain. Suzuka no Okina felt that the Prince would soon want to become Emperor (帝王の気). Okina is shown with the Emperor, both riding a deer and crossing a river. He has invited the Emperor to come with him to the realm of the Sennin (senkyo 仙郷) to introduce him to his daughter. ..... The building was one of the central facilities of Asuka Kiyomihara no Miya, or Asuka Kiyomihara Palace. The building was used by Emperor Tenmu and Empress Regnant Jito from 672 to 694, during the Asuka period (593-710). 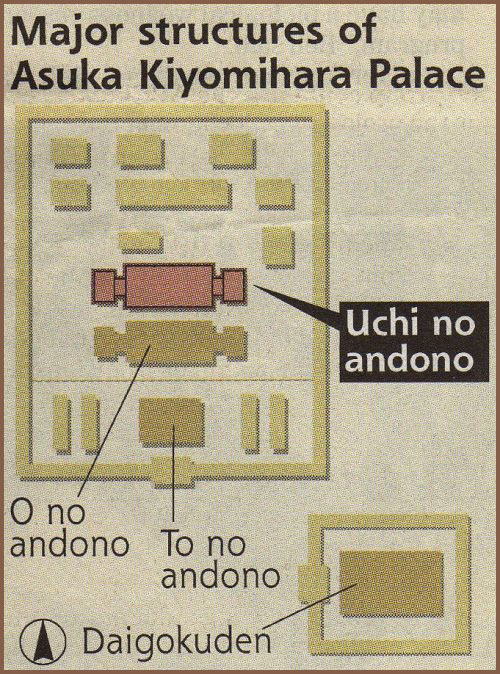 ..... Other palaces built after the Nara period (710-794) have similar layouts to Asuka Kiyomihara Palace, leading experts to believe that the palace served as a model. ..... According to Nihon Shoki (Chronicles of Japan), written in 720, there were three major buildings at Asuka Kiyomihara Palace. To the “uchi no andono” building, Emperor Tenmu invited princes and other relatives. 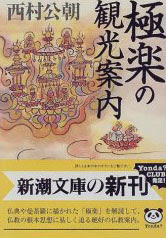 At the “o andono” building, parties and other entertainments were held, while the emperor’s followers gathered at the “to no andono” building. The Kiyomihara Shrine is dedicated to Emperor Tenmu (673 - 686), the 40th emperor. The date of erection is unknown. It is said that Emperor Tenmu stayed for a while in Ootomo Village (old name of Shoji) during his visit to Naniwa (ancient Osaka) and that the shrine was built to commemorate the imperial visit. 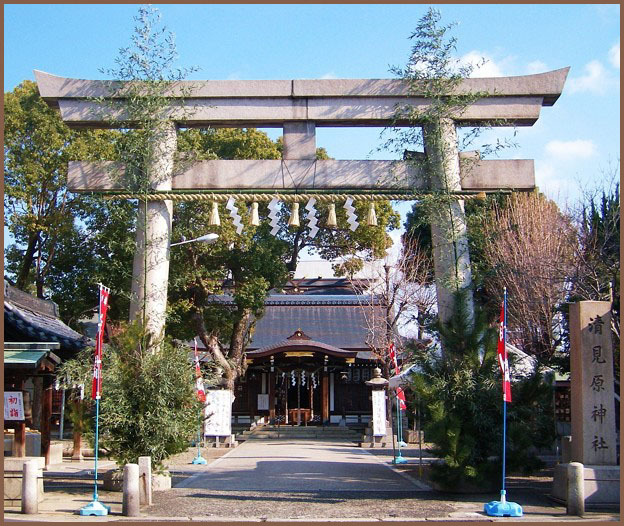 In 1909, five other shrines in the neighborhood were consolidated into this shrine, which was renamed the Shoji Shrine after the village name. 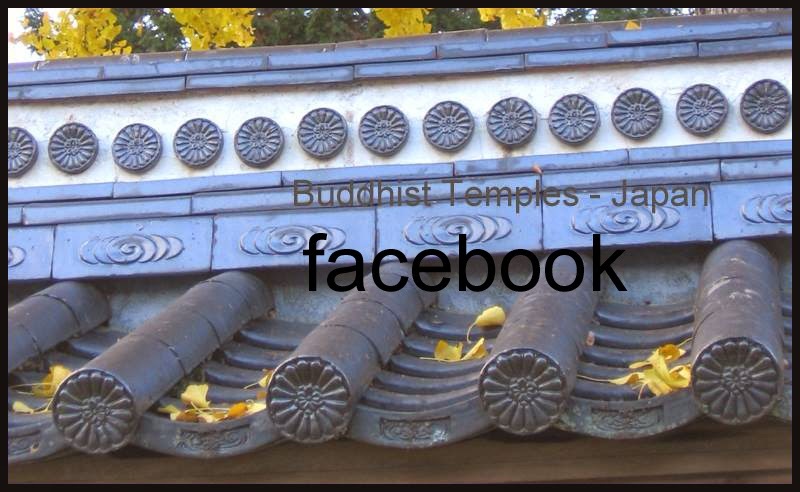 In 1942, the shrine was rebuilt in commemoration of the 2,600th anniversary of the accession of the first Emperor Jinmu, and the old name of Kiyomihara was restored. a mountain range running through Mie Prefecture and along the borders of Gifu and Shiga prefectures in central Japan. The tallest peak in the range is Mount Oike at 1,247 m (4,091 ft). In spite of its height, Mount Oike is not the most visited mountain; that distinction belongs to Mount Gozaisho because of its Gozaisho Ropeway, making reaching the peak much easier. There are seven peaks in this mountain range. The hero is Sakanoue Tamuramaro who was given the title of shogun (barbarian defeating generalissimo) for his success in defeating the Emishi in eastern and northern Japan. 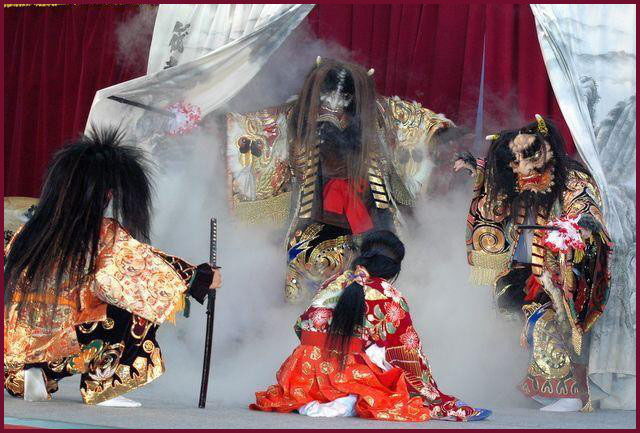 What is interesting to note is how halfway through the dance the upper part of the costume is undone and drops to act like a flared skirt during the spinning.
. Yoshinoyama 吉野山 a power spot in Nara .
. sennin 天狗と仙人伝説 Legends about Tengu and Immortals .